Over the past 30 years, nonstick skillets have taken the place of cast iron in most homes. But with disturbing reports about the effects of nonstick coatings on the environment and our health, we decided to take another look at cast iron to see if it’s worth bringing back into the kitchen. Cast iron has always been known to have a few advantages over other types of cookware. Its material and weight give it excellent heat retention for high-heat cooking techniques such as frying and searing. You can use it on the stovetop or bake with it in the oven. Its durability is legendary—many people are still cooking with cast-iron pans handed down for generations. Unlike most consumer products, cast-iron pans actually improve with time and heavy use. 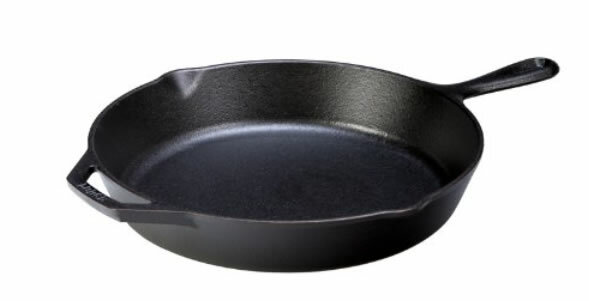 As to the special care, I suggest reading this link about the many myths about cast iron pans. A bit of soap is fine. You do want to keep them dry when not in use to avoid rust spots, though. These days, my workhorse cookware is my enameled cast iron dutch oven. Soups, stews, chilis, short ribs, pork shoulder, and so on. Eggs, searing, and cornbread can be done as well. Less maintenance but a little costlier. Well, Le Creuset and Staub are high quality and high price (we got one as a gift and love it), but this $70 Lodge dutch oven also gets good reviews. Tramontina dutch ovens are another well-reviewed and cost-conscious choice; you can find them sometimes at Wal-Mart and Costco physical stores.